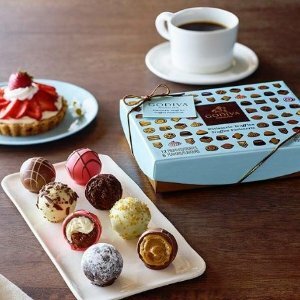 Godiva offers up to 50% off Sale & Deals @Godiva. 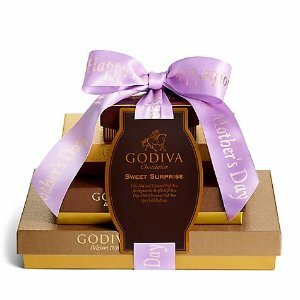 Godiva offers the Mother's day collection from $19.95. 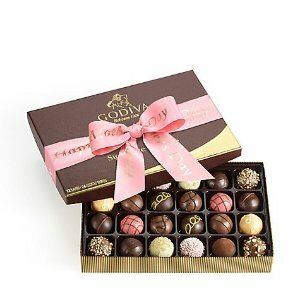 Godiva Happy Mother's Day Signature Truffles, 24 pc. 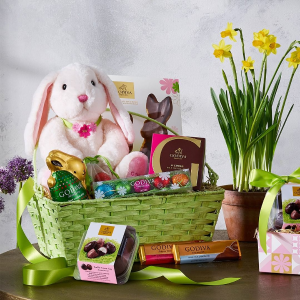 Godiva offers free shipping with $15+ orders Buy 1 get 1 at 50% off select Easter Gifts. Free shipping on orders over $15 (4/15 only). 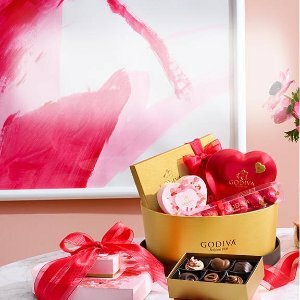 Godiva offers Buy 1 Get 1 50% off on select item. 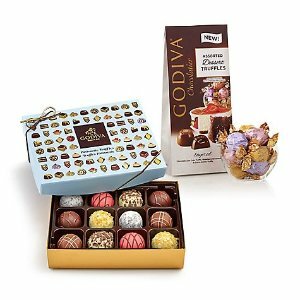 Godiva offers Administrative Professionals Sale for 20% on selected gift boxes. 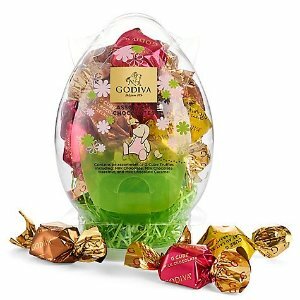 Godiva offers Free Gift when you purchase of $65 or more, via coupon code "Easter". 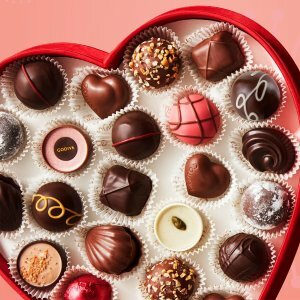 Godiva offers Free Shipping! 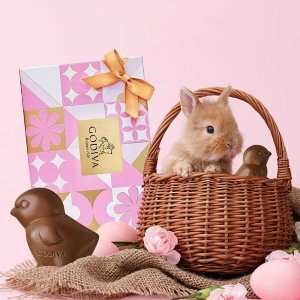 Godiva 2019 Easter Limited Edition gift set from $9.95. 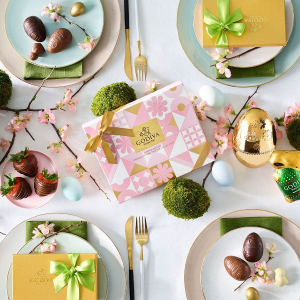 Godiva offers limited edition Godiva 2019 Easter Limited edition Edition from $9.95. 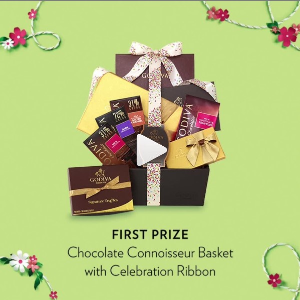 REWARD MEMBER only, Godiva offers sweepstakes for a chance to win prizes. 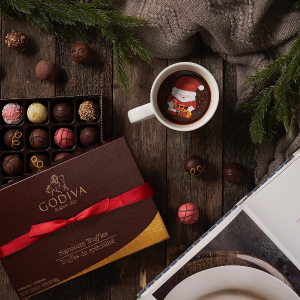 A Year of Godiva: This yearlong subscription of delectable chocolate gifts will fill your lucky recipient’s calendar with 12 months of decadent chocolate treats. Grand gestures start here! 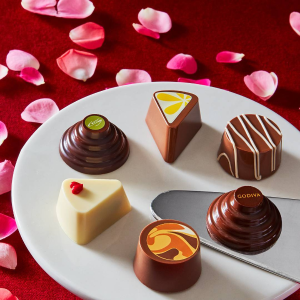 Inside, nine delectable GODIVA treats await discovery -- from creamy milk chocolate to delectable dark pieces, plus salted caramel and truffles of all kinds. 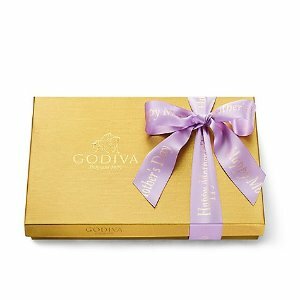 A GODIVA chocolate treat valued at approximately $20. 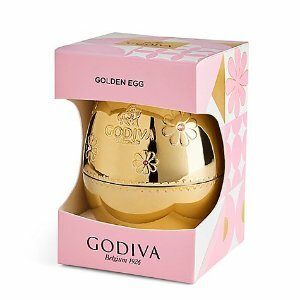 Godiva offers up to 20% off Sale & Deals. 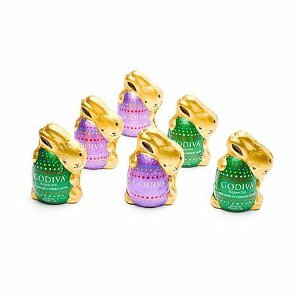 Godiva offers 20% off $50 President Day Sale. 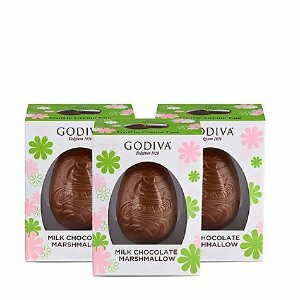 Godiva offers Select Products, 40% off. 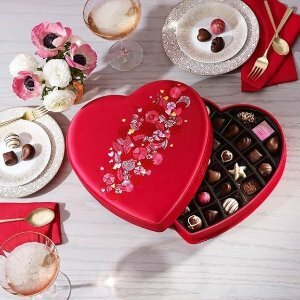 Godiva Valentine's Day Mini Heart Gift Box, 6 pc. 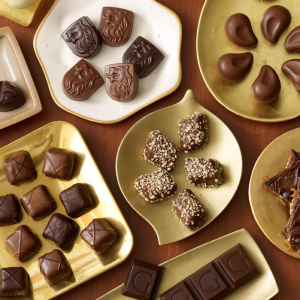 Today only(2/7), Godiva offers one day only BUY ONE GET ONE 50% OFF. Buy 1 Get 1 50% Off offer valid on purchase of two qualifying products. The 50% discount will automatically be applied to the lowest-priced among the two items selected. Limit of 10 discounted products per order. Offer valid online from 2/7/19 12:00 am EST through 2/14/19 11:59 pm EST, or while supplies last. Offer valid only for consumer purchase, not for resale or for commercial or reseller accounts; GODIVA reserves the right to refuse offer to anyone who may be purchasing for resale. Not valid on orders over $599. Not valid on previous purchases, and cannot be combined with volume discounts, birthday reward or other product/order level promotions or offers. Not redeemable for cash. 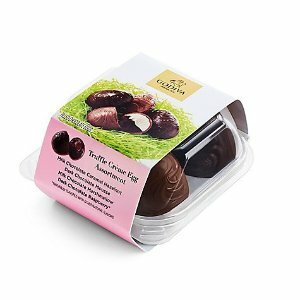 GODIVA reserves the right to cancel any promotion at any time. Free Standard Shipping will be automatically applied to your merchandise total of $60 - $599, per shipment in the continental U.S. Qualifying purchase amount is calculated after all applicable discounts. Additional fees apply for 2nd Day, Next Day and Saturday Overnight Delivery. 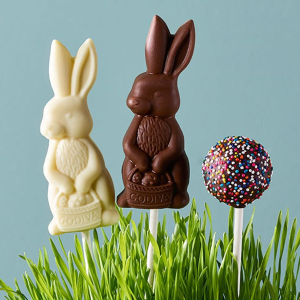 Offer valid in continental U.S. only on orders placed on GODIVA.com. Not valid in GODIVA Boutiques, department/specialty stores, or through 1-800-9GODIVA. Not valid on shipments over $599. Limited 1 shipment per order. Not valid on fresh fruit, previous purchases, and cannot be combined with volume discount and other shipping-related promotions or offers. Not valid on shipments to AK or HI, APO, FPO and PO Boxes. 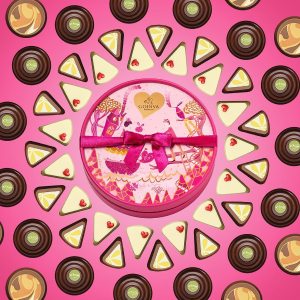 GODIVA reserves the right to cancel any promotion at any time. 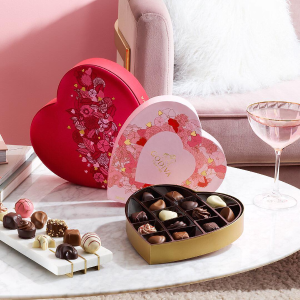 Godiva offers buy one get one 50% off Select Valentine's Day Gifts. 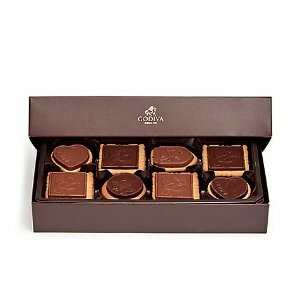 Today only(02/06), Godiva offers just add wine tote gift set $37.95 Gift Set 50% off plus FS. 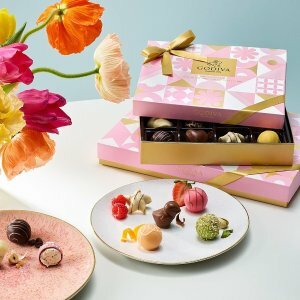 Get Free Standard Shipping SITE WIDE (normally on orders $60+) at Godiva.com! 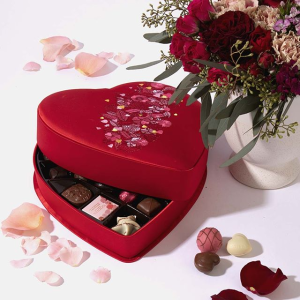 Godiva offers 20% off Select Valentine's Day Gifts. Free shipping on orders $25. 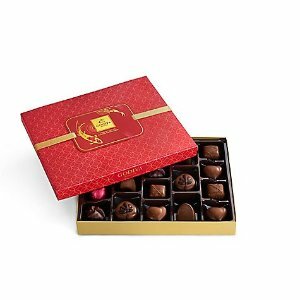 Today only(1/31), Godiva offers just add wine tote gift set $37.95 Gift Set 50% off plus FS. Deal ends 1/31 23:59 PST. 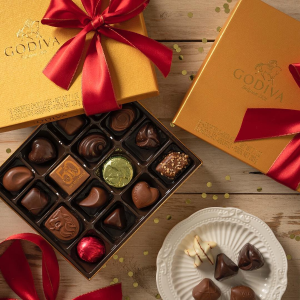 Today only(1/31), Godiva offers save big Free Shipping - no minimum.